How Does VW 4MOTION® Work? Business professionals from foreign countries who are working in the United States may be eligible for financing through Volkswagen Financial Services. The contract length will be limited to the length of stay in the United States. Let Lindsay Volkswagen help you take the steps to get you going and behind the wheel of a new Volkswagen. To be considered for this program, you must provide the following information to Lindsay Volkswagen for each applicant prior to final approval and funding. Letter from employer stating applicant’s position, hire date, income and length of stay in the United States. And, must provide a contact name and phone number for someone in the Payroll or Human Resources Department of the applicant’s employer or future employer. A copy of the applicant’s United States Social Security card or copy of a letter from the Social Security Administration including the assigned Social Security number. This must be provided at the time of application. Copy of Visa with expiration date (with picture blacked out). For applicants who plan to extend their stay beyond the date shown on their Visa, we will accept the length of stay in the U.S. shown on the applicant’s employment letter, employment contract, Permanent Resident Card, or I-94 form in order to determine the special finance terms. Three personal references from individuals residing in the United States. Monthly payment may not exceed 25% of the gross monthly income. Minimum gross income of $45,000 per year. Verification of residence and phone number. Qualification under this program is subject to verification prior to final approval and funding. All contracts are subject to specific conditions regarding down payment, cap costs reductions and security deposits. 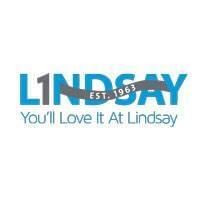 Lindsay Volkswagen of Dulles	38.9978364, -77.4331695.